You'll be £25.00 closer to your next £10.00 credit when you purchase A Field Marshal in the Family. What's this? 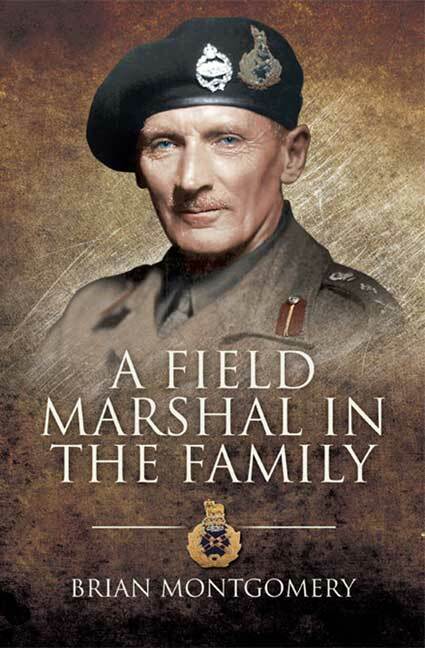 Field Marshal Viscount Montgomery of Alamein has attracted the attention of countless historians over the last 70 years but, despite this coverage, views of his character remain controversial and contradictory. His younger brother Brian, himself a successful soldier, enters the fray with this charming and revealing book examining the background of this legendary military commander. He provides a fascinating account of the influences of Monty's family genes together with a wealth of unknown details about his career. His grandfather, Sir Robert Montgomery, played a key role in crushing the Indian Mutiny and his adventures have intriguing parallels with those of Monty's two generations later. Dean Farrar, his maternal grandfather, was a powerful Victorian educational and religious figure (Headmaster of Marlborough College and Dean of Canterbury) and author of the iconic Eric, or Little by Little. The author examines in the most entertaining and frank manner Monty's idiosyncratic character traits; his opposition to tradition, his Nelsonian approach to rules and regulations, his ruthlessness and determination and his unfashionable views on the absolute necessity for self publicity – and the most intensive training to get the maximum from his subordinates, down to the most junior levels. Lt Col Brian Montgomery MBE was the youngest of nine children of Bishop Montgomery. Like his famous brother he was commissioned into the Warwickshire Regiment before transferring to the Indian Army. After WW2 he joined the Diplomatic Service. He died in 1989. Viscount Montgomery, the author's nephew and Monty's son, lives in Central London and can be approached for interview (via Pen and Sword).